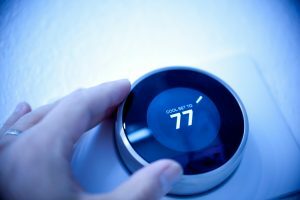 Fall has officially arrived, and with cold weather on its way, Yonkers, NY residents would do well to assess the state of their heating systems and take steps to ensure that they function as well as they possibly can in the coming months. A city as old as Yonkers includes a wide variety of heating systems, from forced-air furnaces to boilers to alternative systems such as radiant heating. In addition to scheduling maintenance from a trained technician for these systems and ensuring that any lingering issues are properly addressed, homeowners can take additional steps to ensure that their heaters run as efficiently as possible and keep the monthly costs of staying warm to a minimum. Labor Day marks the unofficial end of summer, and while Yonkers, NY may have a few warmer days left, autumn weather will be here quickly. Most heating systems in the area have likely sat unused for months, which can cause significant problems when they are turned on during the first cool day of fall. Dust can build up inside the system, clogging burners and creating friction on any moving parts. Wear and tear can be exacerbated by long periods of disuse, and no homeowner wants to discover a major component malfunction just when temperatures are going down. August is usually the time when prudent homeowners in Yonkers, NY take a long hard look at their air conditioners and determine whether a replacement is in order. If your old system is ready to go, you’ll likely want to plan for a replacement in the off-season, when you won’t have need of air conditioning and can plan the operation at leisure. Now is the time to start thinking about key aspects to a new system you might need. A good AC service can give sound advice on which models work best for your home, but there are a few general guidelines for you to start thinking about right now.